When Trump became president, one of the false promises he made was to lower drug prices. Instead, they seem to go up almost monthly. I heard an appalling statistic yesterday. It was that the drug companies last year spent 30 BILLION dollars on lobbying. When we have thousands of hungry children in this country, people working two jobs to try and survive, and a tax law that gave major tax breaks to corporations and the super rich, it is embarrassing. I had an opportunity last week to speak with a couple from Norway and one from the Netherlands. Neither couple could understand what has happened in the U.S. with the Trump group and the mess they have created. There is excellent, free medical care in both countries and both couples said they always thought America was a world leader. We have lost that status. There are now more lobbyists in Washington D.C. than there are members of Congress. As parents and grandparents and every day citizens, we certainly need to let our voices be hard. Drug prices must come down. There is no reason that the government cannot negotiate with the drug companies and also pass laws that don't allow such greed. Many people do not fill the prescriptions they need because of the cost. It is either that or they skip meals in order to pay for the drugs and yet we are the richest country in the world. How can we allow such a terrible problem to continue? My favorite professor when I was a Stanford medical student said " I can train almost anyone to be a technician, but I cannot train just anyone to be a physician." He taught us a physician should have concern for his or her patients, get to know them, and truly care about them. He was a wonderful neurosurgeon. I am seeing more and more medical students who know what to do on a computer, but many seem to have little or no compassion or concern for patients. An outstanding older surgical nurse told me today she is seeing the same thing in many young nurses. She said for them it is all about earning a big salary. If caring for patients is not why someone goes to nursing or medical school, our country is in big trouble. I loved the British nurses when I worked at Hammersmith Hospital in London. Several told me they wanted to take care of patients, not be administrators or head nurses. A Kaiser administrator I recently met in an airport asked me what I thought about Kaiser starting their own medical school. I said I had no problem with that as long as they had doctors teaching the art of medicine, as well as good clinical care. If all they do, as sadly I am seeing in many medical schools, is to just teach the mechanics of medicine and not art and caring then I hope it is not built. Patients also need to be taught how to find the best medical care and not accept poor care from either doctors or nurses. We have some wonderful doctors and nurses in the U.S., but many are dropping out and giving up because medicine has become a business, not a caring profession. For many it is about money and prestige. The Trump administration is doing their best to destroy everything that President Obama accomplished with his health plan. Now they are allowing junk health insurance to again be available. In addition, they are doing their best to get rid of the Affordable Health Care Act. If they do twenty plus million people will lose their health insurance. Those with pre-existing conditions will be in deep trouble. Also, those with large medical or hospital bills will find that the new junk insurance will not cover their bills. Also, the junk insurance companies can take away insurance from an individual if their medical or hospital bills get too large. Because Trump has had millions of dollars available to him, even as a child, he has no concept of what not being able to pay your medical bills is all about. The Republicans have no back-up plan if they destroy Obamacare. This is unAmerican and wrong. 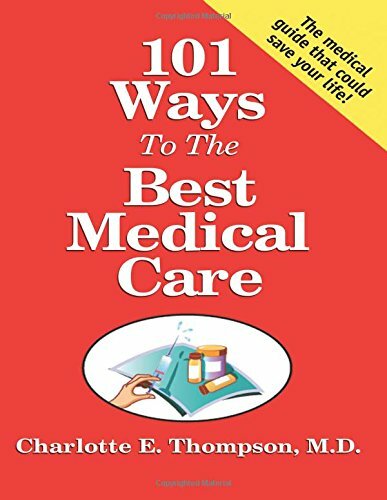 In my book, 101 Ways To The Best Medical Care, I have a large Appendix with many websites that could be helpful if you lose your insurance. A good one that gives a comparison of different insurances is: www.ehealthinsurance.com. There is also a list of state departments of insurance and health that could be helpful. Many people end up signing up for HMOs because they are cheaper. Unfortunately, you usually do get what you pay for and there are lots of problems with HMOs. In my book, I describe these and also what you should check in before you sign up with an HMO. One of my biggest worries about HMOs is that they allow nurse practitioners to see patients without the supervision of physicians. I have seen some tragic results because of this policy. We have to fight the Trump administration to ensure every American gets the best medical care possible. I spend a lot of time helping parents and others find ways to get good medical care for their children and themselves. I believe every person deserves the best possible medical care. As medical care in the U.S. has gradually declined in the last several years, I am not sure Medicare for All is the answer. The powerful and greedy drug companies, the health insurance industry, and far too many greedy doctors will fight any comprehensive plan. The billionaires who surround Trump and his many supporters will also fight. Why should they worry about others when they can afford the very best health care? Another problem I see is that Medicare for All will mostly function the same as the worst HMOs. A patient will have to get permission to see a specialist, and to have any test done. Many of these decisions will be made by nurses or non-medical personnel. Nurse practitioners will have an even more important role, as can be seen in the Kaiser health system. A good nurse is worth his or her weight in gold, but physicians should be the ones to oversee a patient's care. We need to expand the coverage of the Affordable Healthcare Act and have good regulation of drug and health insurance companies. I don't see any of this as happening. I am just very glad I practiced pediatrics in the glory days of medicine. It was not about making a lot of money but enjoying our patients, making house calls, meeting patients in the ER and caring for our patients in the hospital. The Netherlands and France are still rated as having the best healthcare. We certainly don't. I suspect that few people who have to go into a hospital for medical problems or surgery have no idea about what a hospitalist does. It can change your care greatly. I had my first exposure to a hospitalist when I flew to Las Vegas to see my elderly brother in what was supposed to be the best hospital there. I was appalled at the care I saw from the hospitalist. He wandered in mid-morning, briefly spoke to my brother and then left soon after that. My brother's private physician said she did not go to the hospital but worked from 9 to 5! I was appallled The hospitalist did not review my brother's past medical records, did not speak to his private physician, or to me. Even the nurses and social workers were appalled at his care. Subsequently, I have had other reports about these physicians. One doctor friend, who had to hospitalize her daughter at our local medical school hospital, finally transferred the young woman to another hospital. She said the hospitalist there was not quite as bad! I have a friend who is presently having surgery by an orthopedist who essentially leaves all her patient care to the hospitalist. I have urged my friend not to go back to the surgeon but she liked the results of her first hip surgery, despite the awful care from the hospitalist. I ended up doing a lot of her care with several phone calls a day. The orthopedist is what my favorite medical school professor would call a technician, not a doctor. The orthopedist saw my friend twice and basically stood at the door and said "hello". She did not examine my friend or really ask her how things were going. I am afraid we are training more doctors like that. I worry greatly about medical care in the years ahead. It often is all about money. Hospitalists are usually trained in internal medicine and then have some additional training. They make very large salaries and concern about their patients does not seem to be high on the list of the several with whom I have had contact. I am glad I practiced in the "glory days" of medicine. I believe every human being deserves the best health care possible. Sadly, in the U.S. with all the lobbyists for the drug and insurance companies, Trump and his group are trying to get rid of much health care as possible. Of course, he and his billionaire pals can pay for the best health care. The members of Congress also get excellent, free health care. Many of the Democratic candidates are pushing for Medicare for all. Medicare is a great program, but I don't understand how these candidates plan to fight the insurance and drug companies to get Medicare for all and pay for it. Instead, I think they need too look to other countries to see how they pay for the excellent health care that their citizens get. A single-payer plan, such as Canada has, would be a fight to put in place in the U.S. Another country's health system might be the one to check. This was well put by the journalist, Jamie Daw, in an editorial in the New York Times. The author of the article stated that all German citizens are required to have health insurance. However, they are given a choice of "More than 100 private, nonprofit insurers. Workers and employers share the cost of insurance through payroll taxes. The government finances coverage for children and the unemployed." The cost of health care in Germany and other European countries is far less than in the U.S. We could make a big start in the U.S. if Congress had the courage to fight and place controls on drug and health insurance companies, as well as medical device companies. I read a statistic some place that said there are more health insurance and drug company lobbyists than there are members of Congress. I hope when we have a Congress, not controlled by billionaires, that some real changes will be made. Most parents are aware of things they can do to keep their children safe. By looking for frayed electric cords, having covers for outlets and putting safety gates at the top and bottom of stairs can all make a great difference. A playpen can be life-saving when you are cooking, working at your desk, talking on the phone, or getting your mail. Covering or making a barrier in front of a wall heater, so it is not accessible to a child is important. Keeping medicines up high and not in bedside tables, not having dishwasher soap or chemicals under the sink can keep children fro getting into them. I've had patients hurt by all of these things. Having adequate carbon monoxide and smoke detectors is a must. I had a teenage patient who was having a lot of headaches. For some reason I asked about wall heaters. The parents were great and immediately had them checked when they got home. The heaters were defective and once they were repaired the youth's headaches went away. Most garages have lots of dangerous things a child can get into. A backyard can also be a source of problems. If you have a swimming pool, a fence around the pool is essential. Pool covers can be a problem because a small child can slip underneath one and drown. Fences and windows should be secure, particularly if a child is on the autism spectrum and likes to slip away. One thing I always did before I went to bed was to walk around the house to be sure there was nothing my little children could get into if they got up very early. This is especially important if you have had a party or visitors. I had a small patient who drank from left-over wine glasses and another who swallowed cigarette butts. Both had to be hospitalized. As parents you always have to be on the lookout for problems and teach any older children to watch out for younger brothers and sisters. Senior Medical Care When Traveling in the U.S. If you are traveling in the U.S.by yourself or other seniors there are some precautions to take. As an older person, you want to be sure you carry a prescription for your glasses if you need them. Glasses do get broken. You also want to be sure you have refills for any prescriptions you take. If you become ill on an airplane there may not be a physician on board. The airlines are somewhat better in the past about training their staff about what to do if someone becomes ill. I hope they are better, too, about having more medications available for physicians to use than they did in the past. I have responded to calls for a physician several times when I was flying. One time it was necessary for me to have the pilots land the airplane mid-way across the country because there was no medication I could use to stop a man from having seizures. From his luggage, we decided that he was using a stimulant and had been traveling for several days. I was accustomed to treating seizures in children, but there was nothing in the airplane medical chest I could use. Most, and I hope all airlines have defibrillators on board. I am told the staff are trained to use these. I have found that some of the flight attendants in the past were quite difficult. One flight attendant insisted I show her my medical license. Would she had done that for a male doctor? Another one asked me if I wanted a glass of wine as I was listening to a person's chest and taking his blood pressure. Amazing! My other concern, if you are traveling by car or bus, and become ill is about using urgent care facilities. Not all have a physician on-call. I have seen seen some grave mistakes happen when a non-physician tries to treat a patient. One teenager who had muscular dystrophy, was told he had diabetes and the nurse wanted to give him insulin. The parents called me and traveled for several hours so I could see the youth. A chest X-ray showed he had lobar pneumonia! He did well with the right antibiotics.